L-R – Ryan Davie (Guitar), George Panagopoulos (Vocals), Adam Neumann (bass) And Ashton Norman (drums) – Photo Credit: Cormac Figgis. Formula doesn’t exist for RADIO FREE UNIVERSE’s song creation. They let songs make themselves. 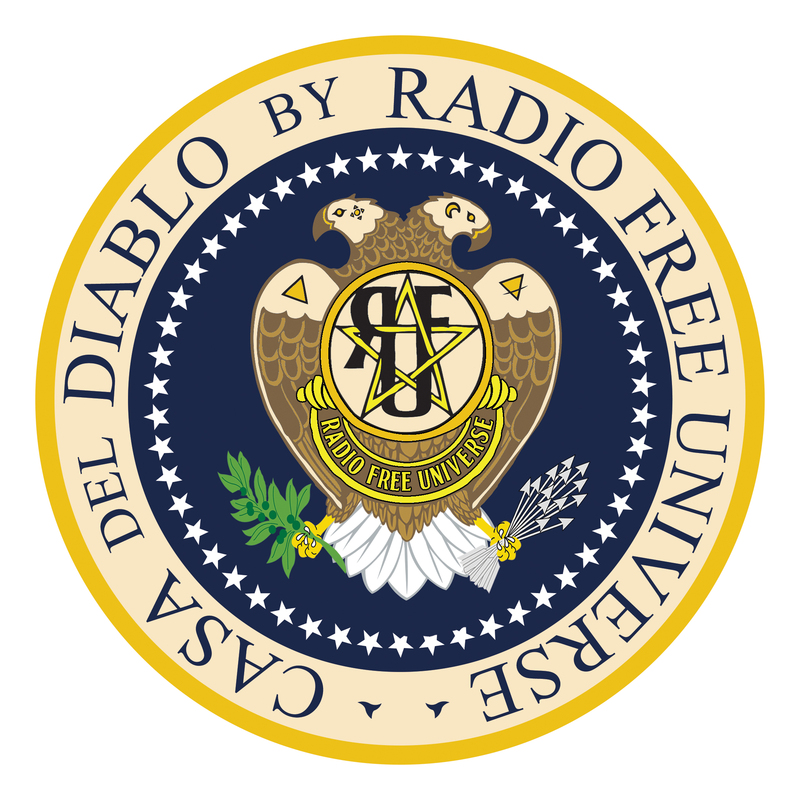 RADIO FREE UNIVERSE’s debut album ‘Casa Del Diablo’ set for release on March 17th, 2017 via Jet Pack Records features twelve infectious rocking tunes including their single ‘Disclosure’ hitting radio across Canada plus their soon to be anthems American Gun, 18 Wheels and more. The album was mixed and mastered by Glen Robinson (Voivod, Gwar) along with him producing tracks American Gun, Disclosure, 18 Wheels and Six with the rest of the release produced by RFU vocalist George Panagopoulos and Mark McMaster. Prior to preparing for their debut release, RADIO FREE UNIVERSE has made quite a name for themselves on the live scene in Southern Ontario and greater Toronto area since their formation in 2010. In their hometown of Hamilton, ON, they’ve performed at the Hamilton Music Awards plus have been nominated twice for Recording of The Year. Other appearances by RFU include Canadian Music Week, Lock Street Festival, NXNE, KOI Fest and Big Music Fest ft. Aerosmith, Bryan Adams and Slash. ‘Casa Del Diablo’ will be available on iTunes, Amazon, Spotify and all major online retailers. It’s a song about them. How it feels to hold one how it feels to hate them. You can sing these words and mean them. it will work for both sides of the issue. The song was instant. When the riff was written the words happened immediately and have never been questioned for any reason. Sometimes songs are in the either and they are an accumulation of strange thoughts and strange places. I think the song is reaching to understand why the world is in the state it’s in. In the end, it’s a battle of the beast inside us and our connection to something we may never understand. The American road. About a working driver who dies on the road. A true story of a friend and perhaps what he went through. Truck drivers are kind of the closest thing to the old sailors when they were pirates. Thus the lyric. “And now it’s 18 wheels on a dead man’s chest” the rest of the song is very literal and self explanatory. The LA woman. She was an actress I met and saw her transform from a caterpillar to an A list sensation. I met a guy that said to me “Do you want to die… let’s do DMT”. I never did the drug. Quite honestly I have plenty of out of body experiences, so if anything, the last thing I need to do is simulate a death experience. I find the whole idea insane. To me we spend eternity trying to find life, why rush death. It’s a great mystery. This song is about the American druggy. Trying to find his being and meaning in a place that makes absolutely no spiritual sense what so ever. People are so disconnected from the earth and their experience that they have to do drugs like DMT to be reassured of something they are not meant to understand. When I was in New Orleans during my younger years, I wanted to learn to sing the blues. Some local players who saw some potential in me wanted to show me the blues for what it truly was. Not flashy, not polished, but old and broken. Limited because your voice is haggard and your guitar is out of tune. They took me to meet an alley player that the locals at the time called Satan. (just an old singer who was great and he earned that name because he was good). To make a long story short, the guy let me hang out as longs as we got drunk. Thus the lyrics in the chorus (listen to it). Is about a killer, a mass murder and what it does to us as people. What it turns us into.9. Dirty little things. An acoustic short song about a road to nowhere. The great American hangover.